Here's to an amazing start to our new year! We are working closely with Renweb and FACTS to launch our new online enrollment system. In the event the online system is not ready, we will send out procedural information for re-enrollment. 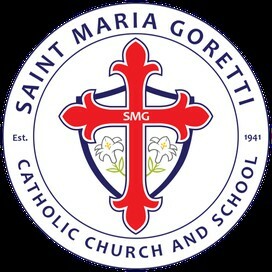 Catholic School's week will begin on January 31st with our annual Spaghetti Lunch and Open House. More information to come! 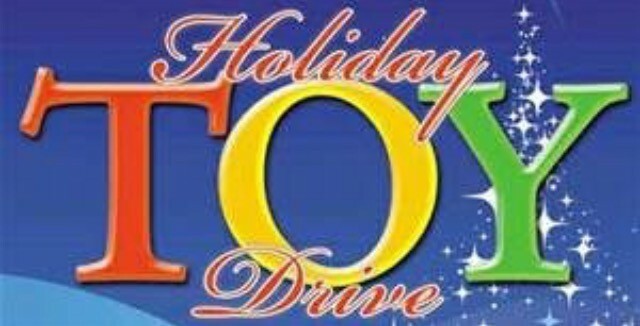 Thank you all for your support with our Toy Drive and other collections to help support our community. Also, thank you for participating in all of our pre-holiday festivities leading into the Christmas break. I appreciate all the thoughts and warm Christmas wishes from our thoughtful students and families! Support SMG on Thursday, January 7 for Dine-Out Night with Spring Creek BBQ!! Thank you to all of our SMG students, staff, and parents for an amazing Christmas celebration! Students came up with really great activities to celebrate Christ! The most intensive and involved of the activities was the Polar Express Day. Students formed teams and turned the office into a chocolate factory. Students read the Polar Express and served hot chocolate and handed out bells. A group of students also celebrated Saint Nicholas by having all classes place one right shoe per student in the hall way and secretly placed candy canes in their shoes as a sweet surprise. A few other leaders organized a visit from Santa to greet students for morning carpool. The Toy Drive was a great success and served all of the families in need! Thank you, thank you to all of our donors! The Sisters of Saint Mary of Namur visited the fifth grade classrooms to thank them for the Dine-Out Night fundraiser. The dance hosted by the Student Council managed to gather more than enough items for the Sixth Grade Catholic Charities Project and items for the Sisters of Saint Mary of Namur. What a great witness of leadership and discipleship. 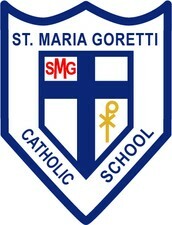 It was amazing to watch the leadership and teamwork emerge from our SMG students. I am fully confident that these experiences will empower our young leaders to continue to follow Christ and follow through with their ideas and creativity to help serve others. 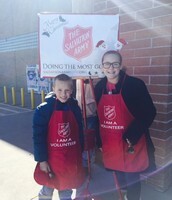 In the last bulletin, I asked for pics of our SMG families giving back. Below are a few examples of our students spreading cheer during the Christmas break. 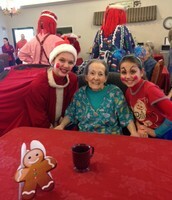 Julia performed "elf shows" for the elderly. 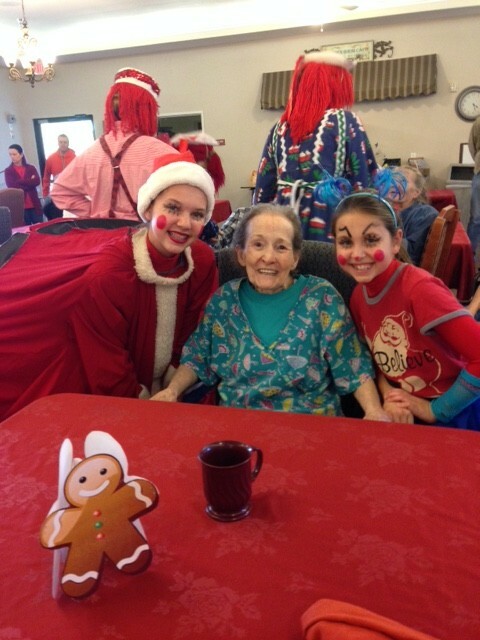 Every year Julia and her dance studio perform at various retirement homes, assisted living, and nursing homes to bring joy to residents. Thank you for lifting spirits! 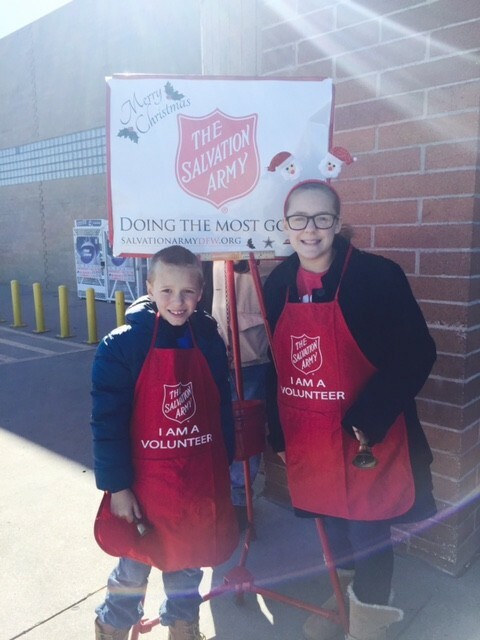 Raiford and Elizabeth Proctor spread cheer with their positivity and smiles while volunteering for the Salvation Army during the Christmas break. Thank you for bringing smiles and warmth to others! Sophia Dalke celebrated her December birthday with friends and opted for unwrapped toys for children in need rather than gifts for herself to help with the SMG Toy Drive. True discipleship happening naturally. Thank you, Sophia!